Thomas B Ramsdon's Peter Pan yarns are solid workhorse yarns that are affordable and great to work with. This super soft 50% cotton/ 50% acrylic blend yarn is great for baby blankets and garments, coming in a variety of traditional baby hues. 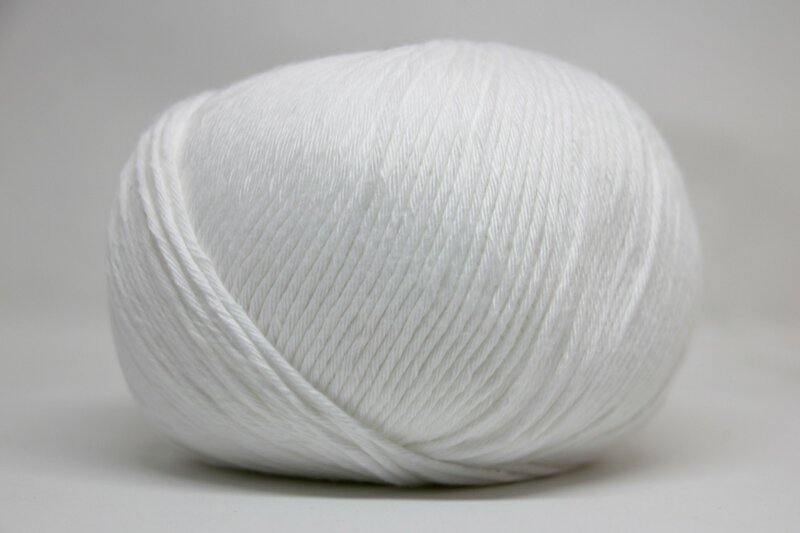 This yarn can also be used for summer clothing and shawls! With soft pinks, blues, and neutrals you will come back to this yarn again and again. Each ball is 100 grams, 174 yards. Gentle machine wash and cool tumble dry.